It is a lovely obituary, rich in the kind of detail that warms a genealogist’s heart. Funeral services for Mrs. Mattie L. Berens, 68, were held Saturday morning at St. Joseph’s Catholic Church in Mobridge with Father Richard Ortmeier officiating. Burial was in Greenwood Cemetery. Larson’s Funeral Home was in charge of arrangements. A service was held Friday evening at Larson’s Memorial Chapel. Mrs. Berens, who had worked 30 years as a medical laboratory technician at Mobridge, died Thursday, Jan. 3, at Mobridge Community Hospital. She had been ill for the past nine months with cancer. Pallbearers were Herman Ries, Jack Morris, Del Riede, Raymond Feichtner, Dr. Leonard M. Linde and Harold Baird, all of Mobridge. Mrs. Berens was born to Mr. and Mrs. John Cottrell in Texas on May 15, 1911. While a small child, she moved with her parents to a ranch three miles northwest of Trail City. In 1924, she moved to Mobridge and attended school, graduating from Mobridge High School in 1929. After her marriage to John Berens, they lived in Selby for several years before returning to Mobridge. She made her home at 211 First Ave. West. She was employed at the former Lowe clinic and more recently at the Mobridge Medical Clinic, where she worked until her retirement. She was a member of St. Joseph’s Catholic Church. She is survived by one son, Robert J. Berens of Stockton, Kan. I mean, seriously, who wouldn’t love to have an obit with that much detail on a family member? Of course, there are those minor little problems. Such as the fact that she wasn’t born on May 15, 1911. And she wasn’t born in Texas. And she didn’t move to Mobridge in 1924. So you already know what the moral of this story is, right? Even when it’s a lovely obituary, rich in the kind of detail that warms a genealogist’s heart… check your sources. Everything in ANY document has to be verified! And you have such a wonderful way of taking a simple document and teaching a great lesson. Aw… thanks for the kind words, Lisa! Even death certificates have to be verified, especially the information, depending on the county, on the “left side,” normally filled in by someone “close to” the family. My g grandfather’s death certificate was filled out by a grief-stricken daughter, who’d been his caregiver for years. I’m guessing she knew the names of his parents, and the fact that they were born in Norway. She probably knew where in Norway, too. Did she provide any of that info? No? As for FindAGrave, I looked for a gravestone on that site yesterday. I found dates of birth and death, but no info on the cemetery, or even the state, the woman was buried! I’d never seen that particular omission on that site before! Doris, I’d love to have a chat with my father’s last wife about what ended up on his death certificate. Sigh… And I have seen those “we know he’s dead but we don’t know when-where-how-or-anything-else” memorials on Find A Grave. I have one great-great-grandfather who provided the information for his death certificate when he entered the Old Soldier’s Home, but mostly it’s provided by someone who — by definition — is grieving or stressed and not at their best when filling out the form. The first time I did one, I looked at the handwriting of the helpful man at the funeral home and asked if I could have a blank form to do myself . . . which I block-printed, so as not to give the hardworking clerk at the Vital Records office any difficulty. The second time, I did the same, but ran into a difficulty with “number of years the person lived in this county / state.” No one could tell me how to calculate it when she had settled in the county on leaving the military after WWII, but was recalled for Korea. I had all the dates, but how do you count it? Finally decided to count from 1946, after some discussion with veterans. I’m sure it’s tough to give correct info — which is why I have everything available for my next of kin!! My mother’s death was both sudden and unexpected. I had to provide the information for her death certificate because my father was too upset to do so. The shock was such that even I, the family genealogist, had trouble remembering her date of birth correctly. 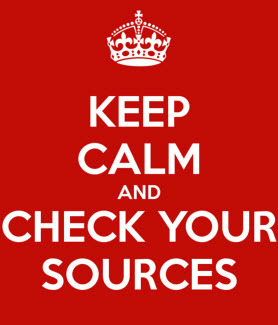 I’m sure that happens all too often — yet another reason to check all our sources!!! There is much “official” information out there that is incorrect—and I think that the search for correct information is a major reason that the genealogy community started and has flourished! I LOVE Find-A-Grave because it frequently gives me areas to explore that I would never find anywhere else! I have created whole, multi-generational families from information found on a F-A-G site. I have been looking for years to find out more about a brother-in-law of my late father’s. Recently a few comments from a direct descendant of that line started me off again. I now have a large stack of information, mostly found because of what I found on F-A-G sites that lead to further research! Please verify the information you get from Find-a-Grave. I’ve found memorials which have ‘biographies’ that include information from multiple families that have been conflated (two couples where the husband and wives have similar names). If someone connected with the family buried in that cemetery blindly accepts the information about the parents which is given in that memorial, they will be chasing the wrong people. We need to verify every bit of information we get from anywhere! I love every site and every resource that can give me a clue — even if some of the info is wrong. I love this obit, but it sure reminds us to check everything. The point I intended to make was that, because of all of the “hints” from the F-A-G sites, I had a large amount of new “information” which I could explore and find the documents to verify whether or not it was “true”! Now I have a large number of documents with which I can build the “real” family tree. In this instance most of the F-A-G information was correct, but I NEVER rely on just one piece of information. I’m with you, cuz — everything (even the most perfectly awful “shaky leaf hint” tree) can give us clues that take us where we need to go. We only get ourselves into trouble when we don’t verify the info. Judy, you’re surely not saying that your mother’s cousin isn’t your cousin also, are you? I meant to say “First cousin to (my) mother.” She was of course my cousin, but to me a first cousin once removed. This past year I came across obits for two other women my grandfather had married. Neither mentioned him. When I created their Find A Grave memorials I extracted the obituaries, but added some text explaining that my grandfather was not a paragon of virtue (okay, he was a drunk! ), and he was probably best forgotten by those families. As it is, I was never allowed to meet him as a child because my parents knew what he was like! Nice of you to add the details, Jim! Some distant family member will thank you. I’ve found obits best – and usually reliable – for providing the names, residences, and often spouses, of the family members. That enables me to trace additional generations often unfindable using other means. Exact dates are just the sprinkles on the icing anyway. But that said, Judy, maybe you can tell me why so many references to dates of birth in the 19th century are exactly one year off – I can’t even count the times I’ve found an official record reading e.g., 5 May 1877 and genealogies or local histories saying 5 May 1878. Were it pre-1730s I could understand it but not in the 19th century, and it occurs over and over again. I think a lot of genealogies and local histories were written using census records as clues to the years of birth without taking into consideration the enumeration dates of the censuses. That would account for those repeat errors. Could this be caused by confusion as to whether the person who died was 75 years old, or in his or her 75th year of age (in which case they would have been only 74), so that the people providing the information calculated the year of birth by subtracting 75, rather than 74, years from the year of death. Several years ago I was looking at an image of a census transcription which seemed well done. However, when compared to the image of the original census, I discovered that every person’s age on the page I was studying, and several pages before and after (I didn’t look beyond that), had been changed by one year, apparently by the transcriber. There must be some theory somewhere that says something like, “The first year doesn’t count.” I can’t explain why someone would do that! I’d put a very large sum of money into a bet that that was the enumeration date issue, Mary Ann! The census taker was supposed to report the age as of a certain date… and if he realized after the fact that he’d asked the question wrong…. Not just obits, either. I’ve been using the British Newspaper Archive quite heavily lately and found reference to a first cousin 3 times removed who was appointed as a mines inspector. It states quite clearly that my great-great grandfather John Evans was his father; in fact it was John’s brother Thomas. I think the cause of the confusion was that they had both been managers for the same company. So trust very little, is the answer, I think.